Blackview is a Chinese OEM mostly known for its rugged smartphones in the Blackview BV series like the Blackview BV9000 Pro, but the company also has a different series, the Blackview A series for regular smartphone users. The ‘A’ series just got updated with the Blackview A10, a budget smartphone with mid-range specs. 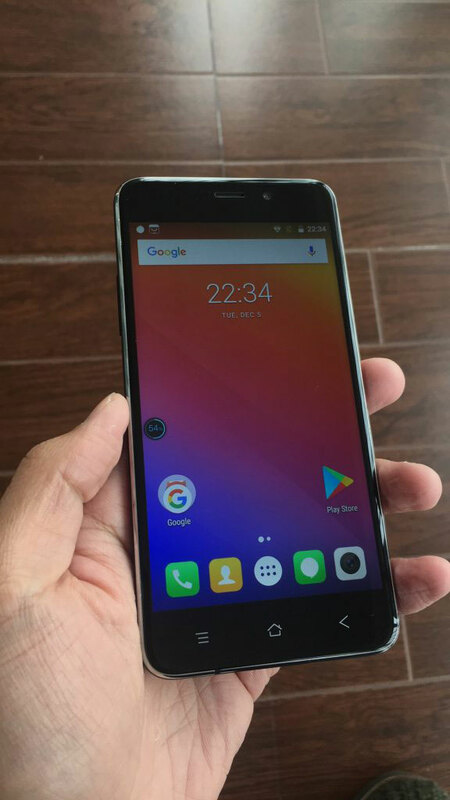 Here is our Blackview A10 Review. We’ve had the device for a few days now, and it’s been quite a thrilling experience, considering that the smartphone has many similar phones in the market, albeit at a higher price. The Blackview A10 is the company’s last budget smartphone of the year, and it ushers its series out of 2017 with a combination of good design and moderate internal specs that outperform its cost. Here’s our take on the Blackview A10 smartphone. 5-inch IPS LCD display with HD (720 * 1280) pixel resolution. Quad-core 1.3GHz MediaTek MT6580A processor. One of the latest software versions. No 4G LTE network connectivity. To be honest, you wouldn’t mistake the Blackview A10 with a high-end or flagship smartphone in terms of design, but you wouldn’t also call it a low-end entry-level device. The A10 has a nice design that surely beats its price tag. The Blackview A10 features a metal aluminium frame which gives it a sturdy build. Its bottom bezel contains three capacitive buttons that are used for navigation. The top bezel houses the earpiece, proximity sensor, light sensor and the front camera to the right. The right side of the phone is quite interesting; it contains the power button which is quite normal, but the dual micro+nano SIM card slot has been placed above the power button, instead of the usual left side placement. Things are changing in this regard, as even the Bluboo S8 Plus has its SIM card slots on the top of the phone. The volume rockers sit alone on the left side of the smartphone. The A10 is curved on the edges and has a curved rear to allow for easy grip. Its rear cover is also textured to prevent it from slipping from the hands, as well as accumulating fingerprints which is the bane of smartphones with metal unibody design or glossy back covers. The fingerprint sensor is placed in the same module as the rear camera on the Blackview A10, but this time both are well-spaced and separated by the LED flash, so you won’t be mistaking the camera for the fingerprint sensor when it’s time to unlock the phone. 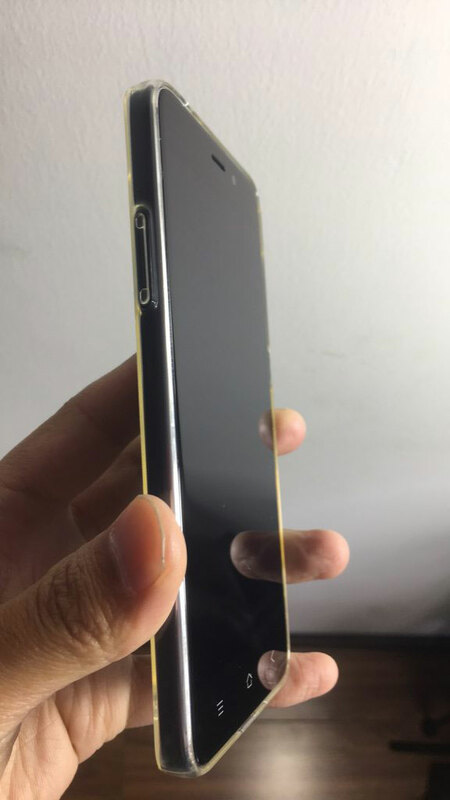 The phone’s speaker grill is located on the bottom of the rear cover, and this could cause some discomfort when playing audio files while the phone is lying on a surface. Turning the phone upside down will fix that. A 3.5mm headphone jack that can be used to stream audio directly to the ears is located on the top of the phone. The bottom of the phone contains the micro-USB port for charging, and the microphone. The Blackview A10 is just 8.8 millimetres thick, and that adds to the good aesthetics this smartphone already has. Not to talk of a weight of just 169 grammes which doesn’t add extra bulk to your load. The Blackview A10 comes quite compact with a 5-inch screen size. This is perfect for those who, like me, want to enjoy the features of an Android smartphone in a compact frame, but also don’t want something like the iPhone 4S that is kinda too small for me. The HD (720 * 1280) pixel resolution gives vibrant colours and a moderate display quality, and a resulting pixel density of around 294 PPI is good enough in terms of refresh rate. Sunlight legibility is moderate, but cranking up the brightness to the maximum level should improve things. The smartphone uses the IPS display quality which offers wide viewing angles while saving power. It is covered with 2.5D curved glass which is scratch-resistant and allows smooth swiping and tapping. The Blackview A10 is powered by a MediaTek MT6580A processor which uses four cores clocked at a maximum speed of 1.3GHz. This processor has been used in many similar devices and tested extensively, so you don’t have to worry about performance if you’re planning to use the smartphone for regular tasks. Trying to run high-end games and applications on the smartphone would, however, result in some performance lags and frame rate drops. Its graphics are powered by an entry-level Mali-400 MP2 GPU, so don’t expect to run heavy games like Asphalt 8 at the maximum graphics output on the phone. The Blackview A10 comes with 2GB of LPDRR3 RAM which is good enough for average multi-tasking. Switching between about five moderate apps on the smartphone gave us no issues, but the memory can manage only about two heavy applications at once. Running more than that will cause the apps to load again when re-launched from the Recent Apps menu. In terms of storage, the Blackview A10 comes with 16GB of onboard storage, though the actual amount of storage on which you can install applications and store multimedia files is lower than that because of system packages and bundled apps. 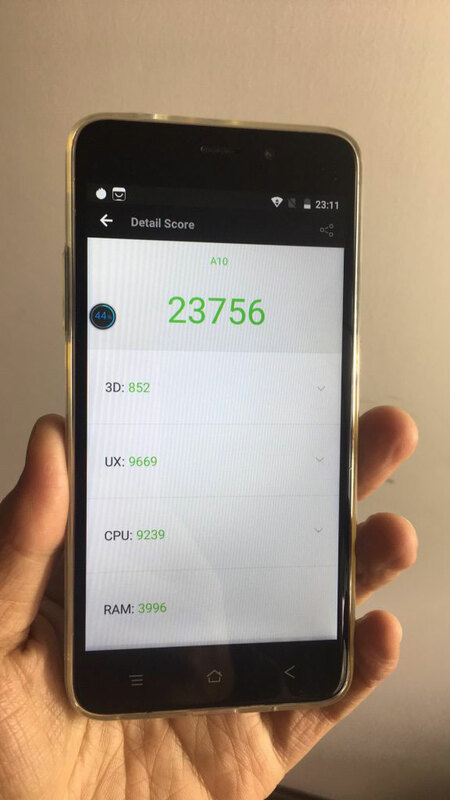 We ran the popular benchmark application for Android smartphones and other platforms, AnTuTu Benchmark on the Blackview A10, and the smartphone had an overall score of 23,756 which is quite impressive for the category in which it comes. This score places the Blackview A10 above similar smartphones that use the same processor and RAM, like the Leagoo KIICAA Power which scored 22,634. 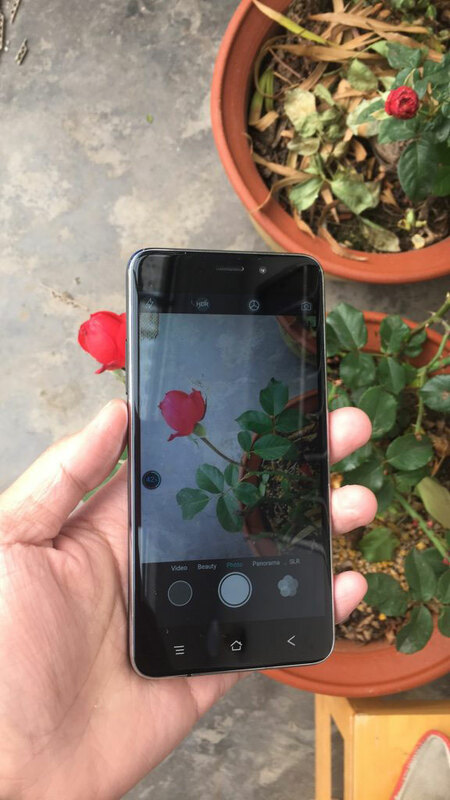 Cameras are not the strong point of budget smartphones like this, but the Blackview A10 performs quite reasonably in the photography department. It sports an 8MP camera on the rear accompanied by a LED flash which provides lighting in poorly-lit environments. The A10’s camera produces decent images, but as is the case with smartphones in its category, it doesn’t perform well in environments with low light. That’s what the LED flash at the rear is there to help with. The 5MP front camera also produces some decent selfies, although you might want to refrain from taking selfies in low-light; the pictures produced are distorted with noise. The Blackview A10 packs a 2800mAh battery which, for a smartphone of its type, is quite acceptable. Using the smartphone for average tasks can get you through a full working day on a single charge, but using heavy applications on the phone for an extended period of time would run the battery down quickly. The A10 comes with a slot on the left side that can accept a single micro SIM card and a Nano SIM card. Unfortunately, the smartphone doesn’t support 4G LTE, so you’re left with a maximum of 3G network connectivity. Sensors on the smartphone include the accelerometer, ambient light sensor, proximity sensor and the rear-mounted fingerprint sensor. It has Bluetooth 4.0 and Wi-Fi 802.11 a/b/g/n for wireless connectivity, and comes with GPS for location tracking. In terms of software, the Blackview A10 runs on version 7.0 (Nougat) of the Android operating system out of the box, providing you with some of the latest software features in the OS. You also get a UI that is common on other mid-range Android smartphones. The Blackview A10 costs around $85 normally, but you can get it for just $73.26 at a 13% discount on Gearbest by clicking on the button below. The price was reduced even lower than that on Black Friday and Cyber Monday, so stick around if you want deals on smartphones like this. Received this phone yesterday and I am very pleased. For a basic phone this is a great value. Great phone for the price for sure. Delivery is about three weeks. The phone is great for its money. Best phone within this price range. Very nice, works fine. Quality is excellent.